Recent Posts | Electric Popsicle | Dance Your Pants Off!!!! Are you looking for a live band for your party? Live music can be a great addition to your High School Reunion, Birthday Party, Retirement Party, Backyard Barbeque or Wedding. The entertainment is one of the most important decisions you will make when planning your event, as it can really set the tone for the evening. Here are some tips to help you make sure you choose the right band for your event. 	Song Selection. Make sure that your band provides you with a song list. Find out if they are willing to learn new songs or requests. If you graduated high school in 1980, you might want a genre band that will play music from that decade. Look for a band that appeals to a wide audience. While you may love metal, grandma and Aunt Ruby might prefer something a little less aggressive. 	See the Band Live. Ask if they have any upcoming shows you can attend before you make your decision. The way the band conducts them onstage at another event will speak volumes about how they are going to behave at your event. However, remember that the way a band performs at a pub is not necessarily the same way they will perform at a wedding. Speak with your potential band about the differences. 	Equipment. Find out if the band will be bringing their own professional quality sound and lighting equipment. A lighting package can add a great ambiance to your festivities. 	Will the band also DJ or emcee? 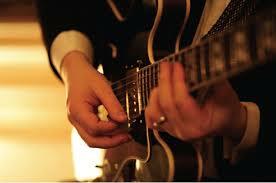 You may want specific songs for moments in the evening (for weddings, there is the cake cutting and the garter toss.) The band you choose should come with the ability to play DJ songs as well. 	Get it in writing. When you make your decision, make sure to negotiate a contract and make sure to check it with your venue. This should include loading and unloading times, any specific song requests, a “key man” stipulation, band attire, “play” and “do-not-play” lists, a cancellation and refund policy, fees and overtime rates, equipment requirements, and a food and drink policy. Electric Popsicle is available for corporate and private events. Please check out our song library and contact us if you want more information. Contest: What’s your Guilty Pleasure Song? We all have that song we sing in the shower when no one is listening. Name yours in the comments below for a chance to win tickets to the Knights / Greyhounds game on Friday, December 5th. We will announce the winner on December 1st. Electric Popsicle is playing at Fitzrays December 5th so after the game you can come for a beer and catch the show. Points for posting the Youtube video. Double points for posting a video of yourself singing it!! Pleasantly surprised to see an article in the London Free Press today promoting our show at Fitzray’s September 12th. Electric Popsicle Spins Po at Fitzrays. “Summer days may be slipping away, but Electric Popsicle is here to stay. This local cover band takes favourite pop songs — from Katy Perry to No Doubt to Donna Summer — and injects them with a dose of rock. The four-piece includes lead songstress Andrea VanderWeide (also on rhythm guitar and keyboards), lead guitarist Mick VanderWeide, bassist James Peter and Gord Oliver on drums. With a background in heavy metal, punk, new wave and rock, you can rest assured this band will give every pop hit (from the ’70s to last week) an electric new spin. We want you to pick our next cover song. On Facebook: Visit our Electric Popsicle Facebook Page, LIKE our page and write the song you think we should cover (song name and artist) on our wall. On Twitter: Follow @electricpops and message us with your song suggestion. 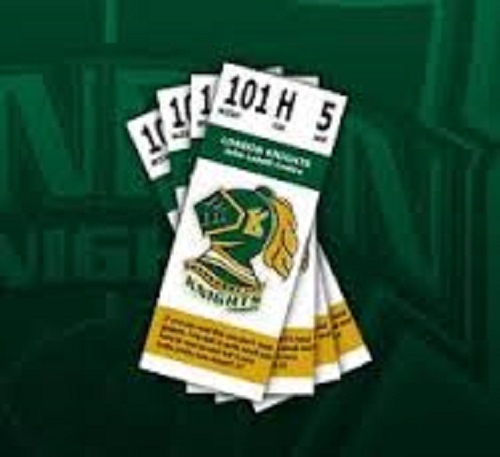 If we pick your song, you will win tickets to the London Knights Pre-Season game against the Erie Otters on September 12th. After the game, make sure to come see us at Fitzray’s Restaurant & Lounge. Make sure to have your entries in by September 5th.